In previous postings on speaking Croatian, we've mentioned that though the grammar is not easy, Croatian is a very phonetic language with all letters generally pronounced separately and consistently. That may be the reason for the rather odd translation displayed outside a restaurant in Mali Losinj on Losinj island in north Croatia. Alternatively, the owner may have misunderstood one of the Two Ronnies sketches! Double click on the photo to enlarge it. More seriously, if you live near London and want to learn to speak Croatian properly go to www.easycroatian.com. This Croatian language school also organises regular immersion courses, combined with a holiday, in Croatia itself. The website has regular newsletters and you can also access its very useful phrase leaflet in pdf format. 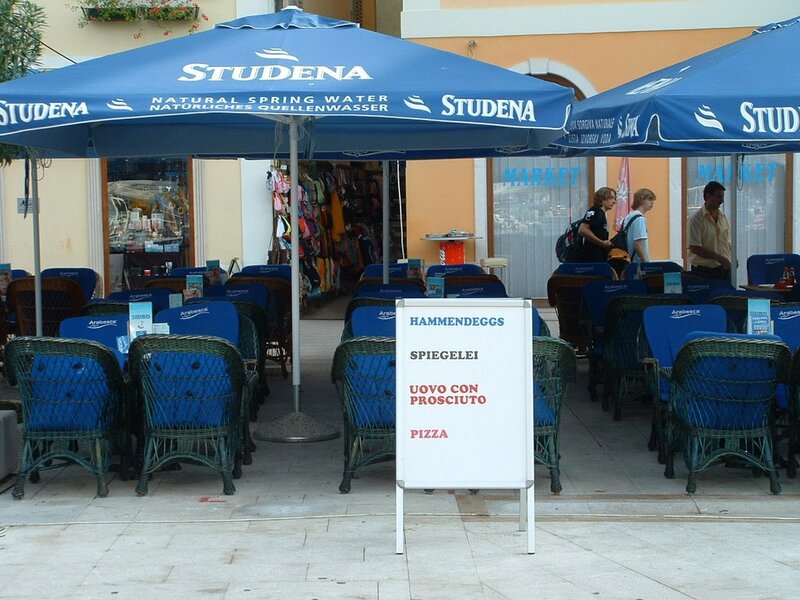 Another funny example of the croatian literal spelling. I am an expat living in Dubrovnik and i have seen many examples of this. One great one is in a bar in Cavtat which proudly advertises "DROUGHT BEER". In some way i make my living from this as i am an English teacher here. I even once though of writing them all down and outting them in a book. A book sounds a great idea and I'll bet the Croatians could write a similar version for our attempts at Croatian. Thanks for the comment and sorry for the delay in posting - my blogger host has had a few gremlins.